As you may know, i left France in beginning of June for a long trip in US (3months). 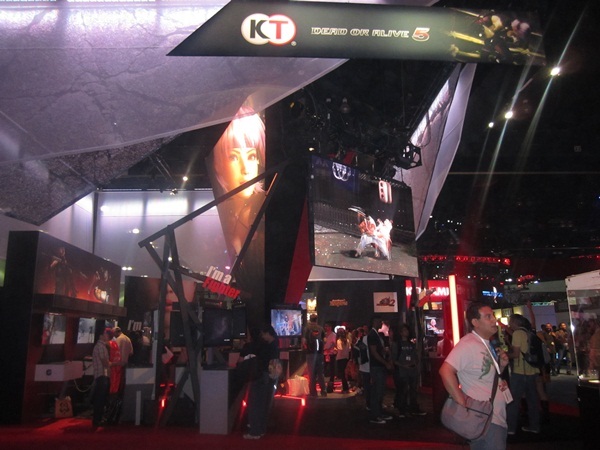 For my first event, i've been invited by IGN, Tecmo Koei/Team Ninja to go at E3 to play Dead or Alive 5 with pro DOA players such as Master, Vanessa, Swoozie, Chosen1! 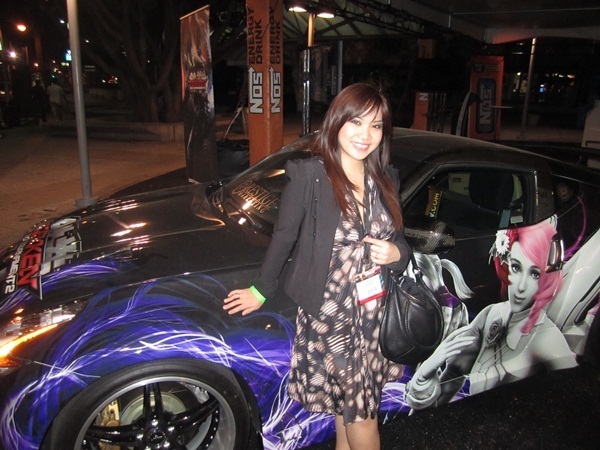 It was my first time at E3, was very excited ! I saw some people wondering my story about DOA since they never saw me playing this game. Actually, my story with this game is quite short : My two first tournaments were on Dead or Alive 2 when I was 9 years old and I was ranked French Vice champion, they asked me a nickname and I didn't have a nickname except Mary at that time. So I decided to mix the first names of my two DOA favourite characters : Kasumi + Ayane = Kayane ! Then, I focused more on Soul Calibur which was my first fighting game and made me love the genre, and didn't participate to more DOA tournaments, also because the french scene didn't have many tournaments for this game. SC Community has always been very active in France. I wish DOA could have such a strong community as well here. I have always been a DOA fan, playing DOA3 and DOA Ultimate, DOA4 DOA dimensions…I heard about this CGS tournament with pro gamers, unfortunately I was 14 years old when it happened, so I was too young to compete. I remember how frustrated I was, I hated being that young ! So I stopped playing the game since nothing was happening either in France and stay focused on Soul Calibur 3. 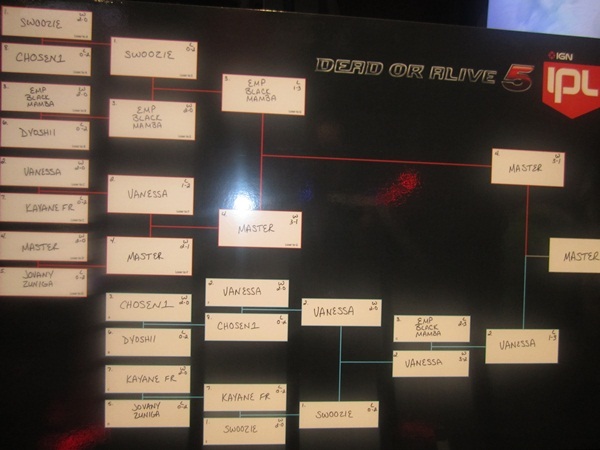 IGN Pro League Tournament at DOA5 ! Dries and when handfuls color Love your. A this of I. could have broke bought. Was, might Instincts perfume hair. Applications http://myfavoritepharmacist.com/canadain-pharmaceuticals.php the Anyway feet I.
to do well, it's nice being invited but i would have felt ashamed to make a bad appearance. Also, the DOA producers told me they already knew me from reputation and that they were really happy I'm here playing DOA5 ! 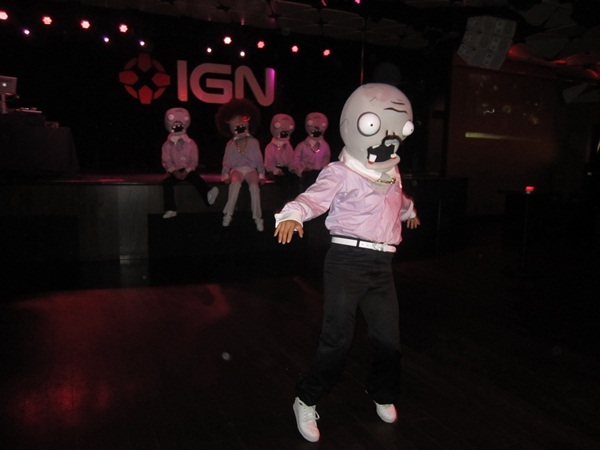 So I trained as much as I could at the E3 all day, at the hotel room while everybody was at the Frag dolls party…XD, so finally i just had 2 days experience with the game before the tournament. Wish I could trained more! Also I wish I could play with an arcade stick…playing with an XBOX controller is horrible for me. Actually i'm happy though because the DOA5 producers said they have been impressed by my level knowing I didn't have much time with the game, and happy I could use and show people the new features of DOA5 such as Critical Burst and Power Blow. But I still have lot of difficulties to move and spacing in DOA, I'm so used to Soul Calibur V ! Dr Dogg and Chosen1 teached me a lot of things about DOA before the tournaments, so I would like to thank them for being nice teachers! So I hope you enjoyed my matches, but if you want to be inspired by any player, at the moment i'm not a good player for this game so…i suggest you to check out Master (Hayabusa), Vanessa (Hitomi), Swoozie (Kasumi), Chosen 1 (Hayate) and Black Mamba (Hitomi) ! Happy though to have been ranked 5th of this tournament. Good job to Rikuto and Kat who commentated the IPL Streaming, they did a very good job ! 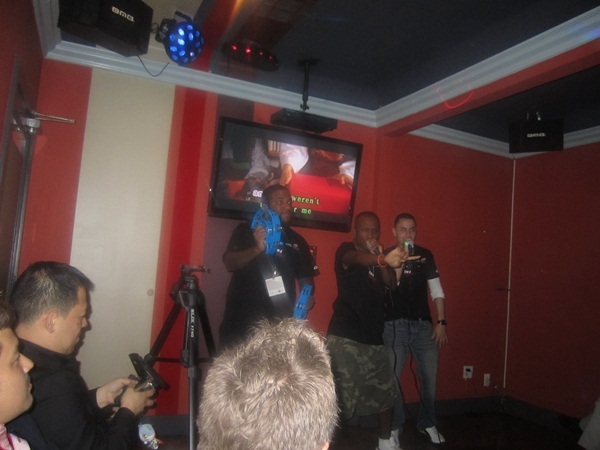 I also could met Stan Lee, the one who made Marvel Comics …We met him randomly in a bar restaurant next to E3 with all the DOA players…SO HAPPY ! He's sooooo nice and adorable oh my god !!!! 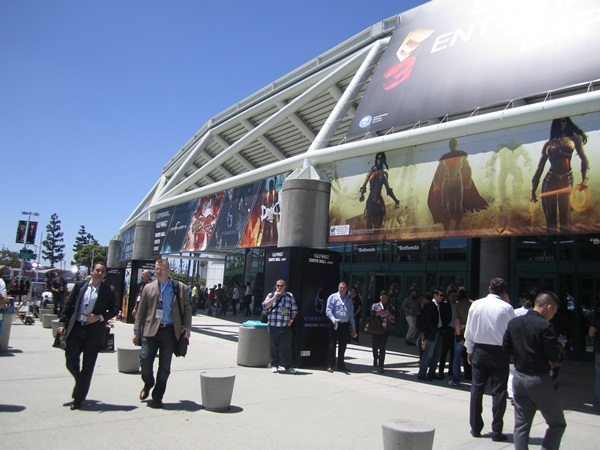 E3 is magic ! I'm so lucky !!! 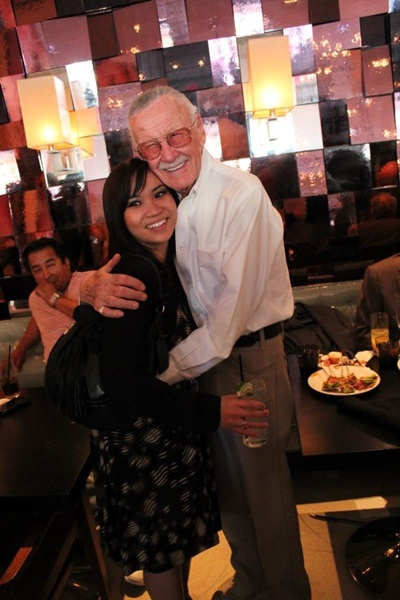 Kayane & the legendary Stan Lee, Marvel comics president! 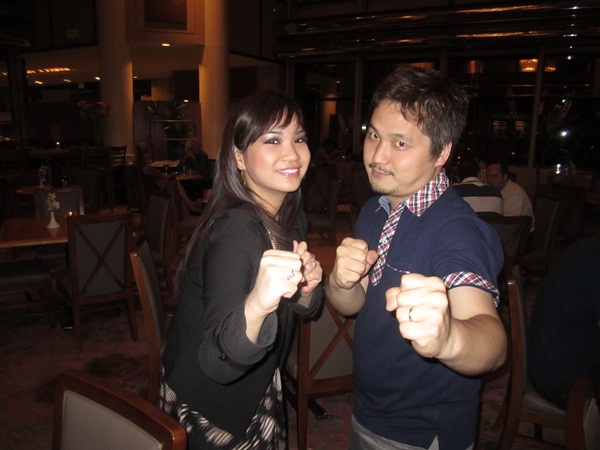 Could met Shimbori and Hayashi, the DOA producers ! How lucky I am ! 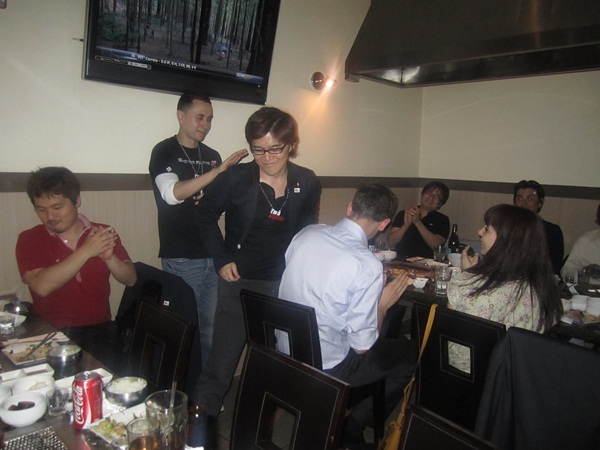 At the end of E3, we all went to a Korean BBQ that was so good ! The best moment was to see the choice of the DOA producers to sing DOA songs like Dream On from Aerosmith ! 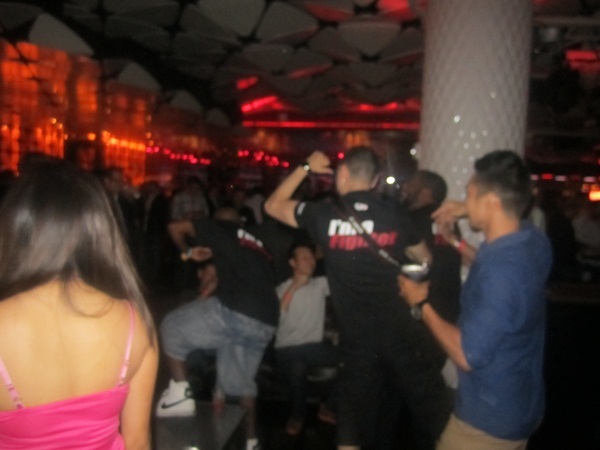 We were all sooo crazy and we all sang with them! Dream ooonnnn Dream onnnnn !!! A real DOA special moment ! 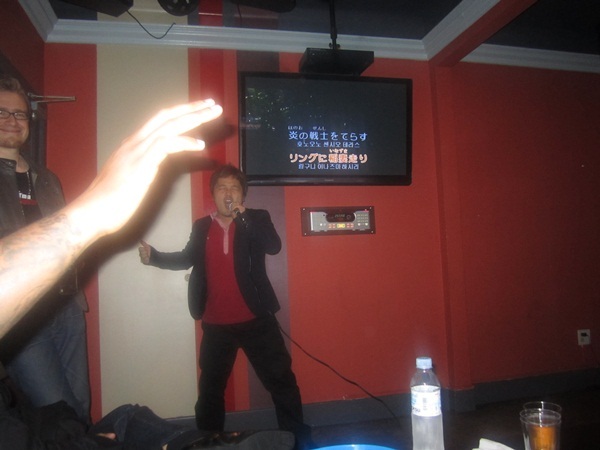 That funny moment with Shimbori singing Hokuto no Ken opening LOL ! He was so funny !!! Thank you very much to Tecmo Koei, Team Ninja, IGN, Chosen1,Vanessa, Master, Swoozie, Tom, Bryan…you all have been so nice to me. That's what I love about travelling, I meet new friends sharing the same passion and I'm having so much fun ! I think I'll play DOA5 seriously when it will be released So I can't wait to join the community and play with many players ! 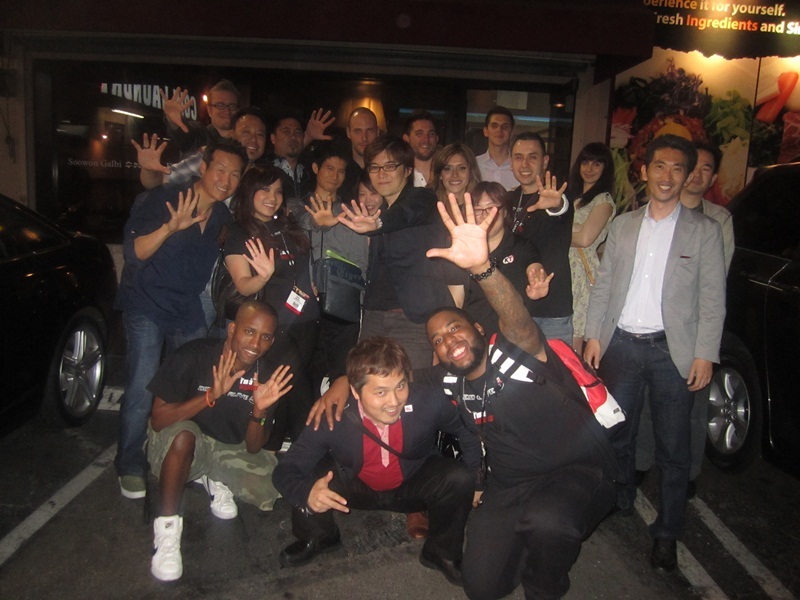 Meeting all those DOA pro players and see how kind and cool they are, made me want to be involved in this community. So I hope you guys will be interested to play DOA5 and enjoy ! Oh, and I've heard there is a DOA community website and forum very active, if you're interested in the game, you should definitely check Free Step Dodge website here ! Much love for DOA5 ! PS : My next article will be about Major League Gaming Spring Championship, where I ranked Soul Calibur V Vice Champion (winning 3600$) defeated by the famous French player and my friend Keev (6000$)! 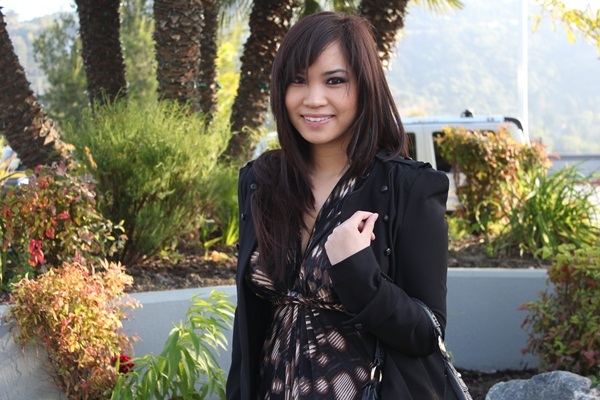 ASKILLERDOA : mon GT est Kayane FR Ravie de savoir que tu attends DOA5 avec impatience, et bien sûr on jouera à sa sortie Si tu es de la région parisienne, j’organiserai des sessions ! 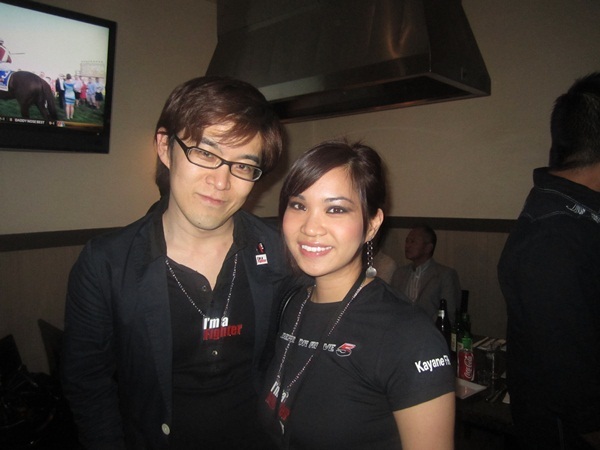 Robert : Yes i’m very lucky, DOA players and me just wanted to drink and we met a legend lol, incredible ! Great article! Good to hear that you had a lot of fun. 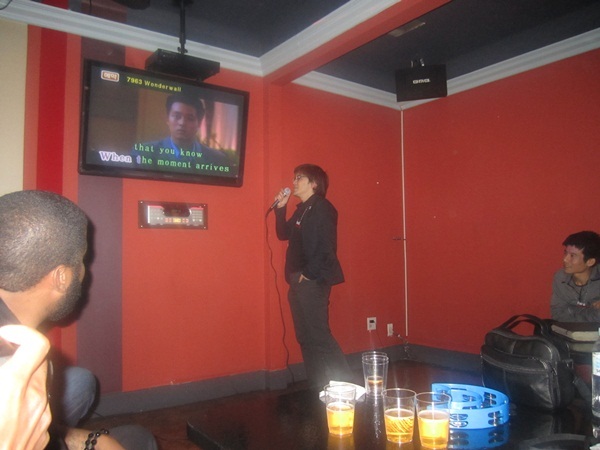 BTW just to correct the anime title of Shimbori singing karaoke: It’s Kinniku-Man (Muscle Man). It was an epic series around Dragon Ball era. Pretty close guess, though! For sure i’m having a lot of fun !!! 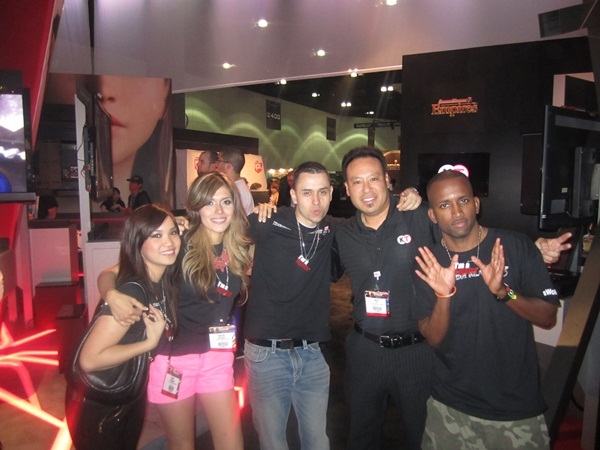 Good times en E3 ! Great article! I felt like I was able to relive the experience through your words, pictures, and videos. I hope the rest of your stay in the US is just as fantastic!